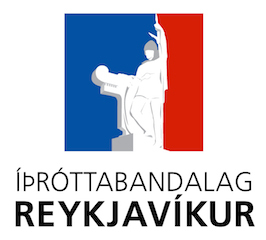 In relation to the Reykjavik International Games 2019 the Reykjavik Sports Union, The National Olympic and Sports Association of Iceland, Reykjavik City, The Youth Association of Iceland, The ministry of Education and Culture and Reykjavik University have organised a conference about sports and violence. The conference will take place on Wednesday the 30th of January in Reykjavik University and on Thursday the 31st of January there will be a workshop in the Sports Center in Laugardalur Valley. Gender-based Violence in Sport: what are the key issues? Håvard Ovregård, adviser responsible for work against sexual harassment and abuse, Norwegian Olympic, Paralympic, and Confederation of Sports. Summary and Conference Closing (In Icelandic) by Heiða Björg Hilmisdóttir, a member of the city council. People who work in sports (coaches and staff, employees of clubs, masseuses/physios), board members in clubs, sporting federations, sporting districts. For whom: The police, child protective services, the ombudsman of children, municipalities. What will be discussed: Reactions and ways to solve. Definitions. Division of labor. Plans. Safeguarding. What will be discussed: What research and information exists already. What is being researched now. Plans of research. Cooperation abroad. Researchers. In cooperation with The National Olympic and Sports Association of Iceland and Reykjavik University coaches, participants and other interested are invited to follow some very interesting lectures. The lectures are a part of RIG 2019 and will take place at Reykjavik University, Menntavegi 1, 101 Reykjavik.